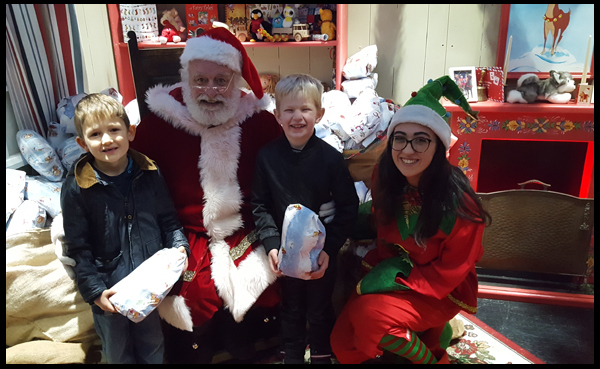 On Sunday I took my boy and his bestie to Drusillas Park to experience their Winter Wonderland and I came away believing I'd just met the very real and original Santa! Drusillas did not disappoint! 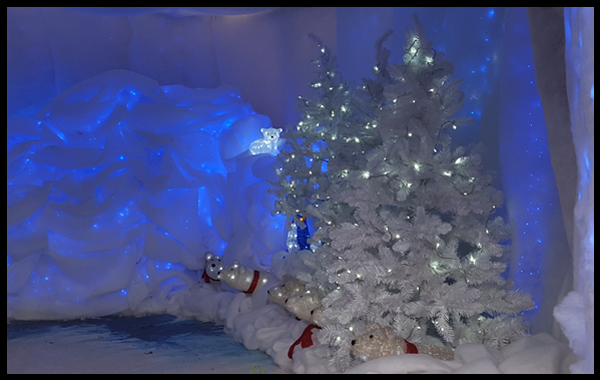 It was so magical we all came away a little bit more excited for Christmas! 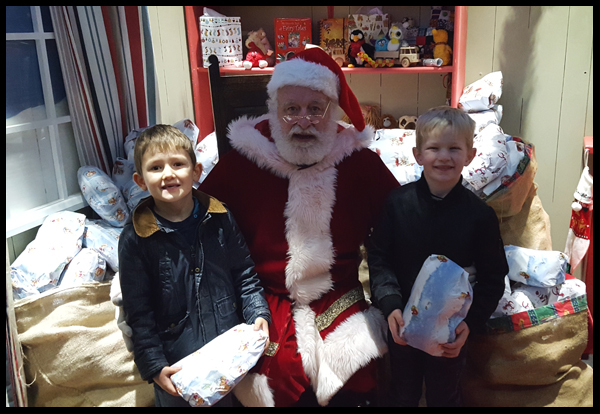 The main attraction at Drusillas this winter is Santa, (and rightly so) located in his cottage. The tickets for Santa are purchased on the day and so worth it!! 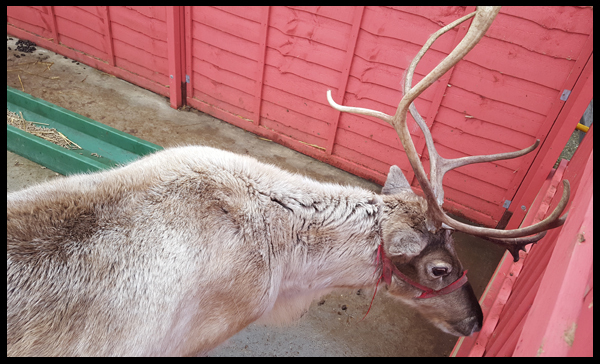 He is very popular and gets very busy so do make this your first stop of the day, and be prepared to queue! Don't be dishearted by the length of the queue, it moves relatively quickly and there is plenty to see whilst waiting. 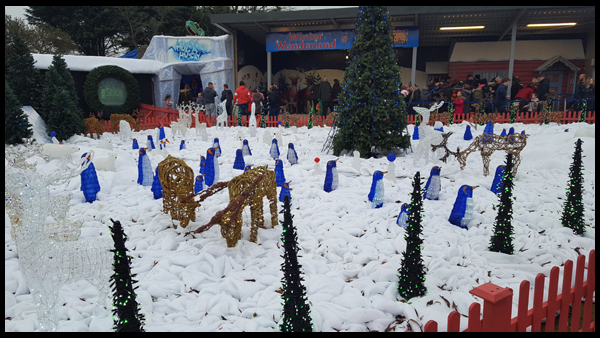 In the middle of the arena are the beautiful Winter Wonderland Illuminations which shone beautifully for us in the cold winter's morning whilst we queued. 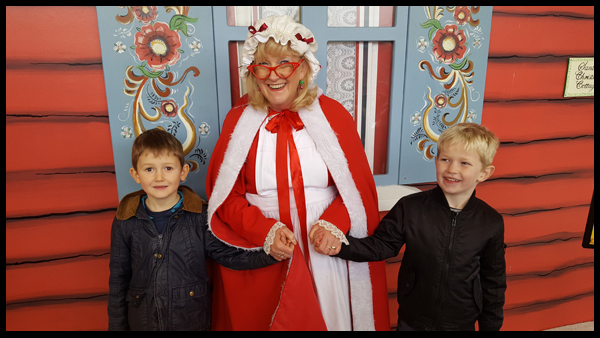 As you reach the front of the cottage Mrs Claus is there to take your tickets and have a little chat with the children whilst they wait for one of her elves to show the children the way. My son was a little taken with the "Mrs Santa" and the poor woman couldn't get a word in!! 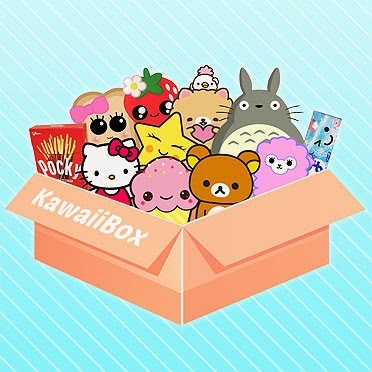 I can't explain how wonderful Santa was! He chatted away to the boys, was very funny and joyful and well, I just loved him! I wanted to sit with him and tell him what I wanted for Christmas! It wasn't rushed, he knew the boys' names (thanks to his elf), he made them feel special and their eyes lit up when he gave them both a present. They took to heart his words of making sure we are all in bed when he comes at Christmas. He chatted to Max about Beans (our dog), telling him she comes down and eats the crumbs that he leaves when he has his biscuit, and how Rudolf loved the carrot last year and just little magical comments like that, had even me believing he was real by the end of it. 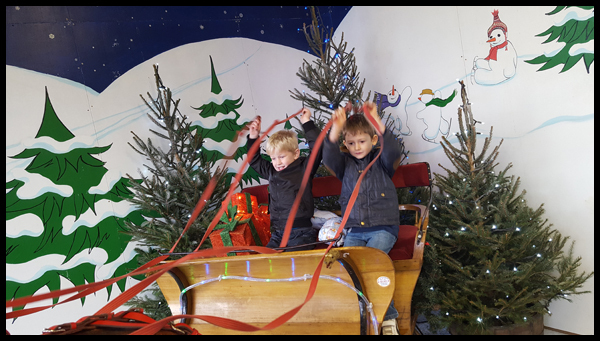 As we left there were more photo opportunities with the boys having fun on Santa's sleigh and pretending to be snowmen. 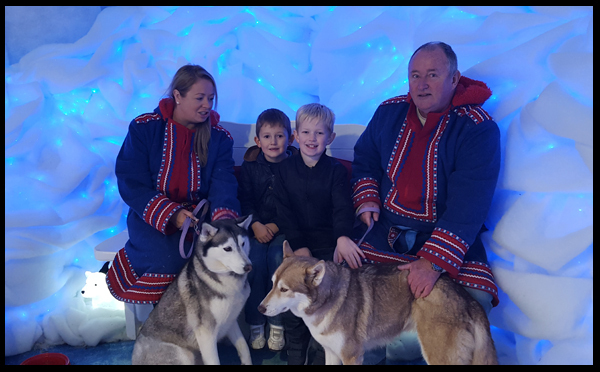 We headed on over to the Ice cave to see a couple of really beautiful Huskies. Chilling out in their cave, the dogs were totally relaxed as the boys petted them and Max even got a small kiss. The cave was set up so well, you could easily believe you were indeed inside one. 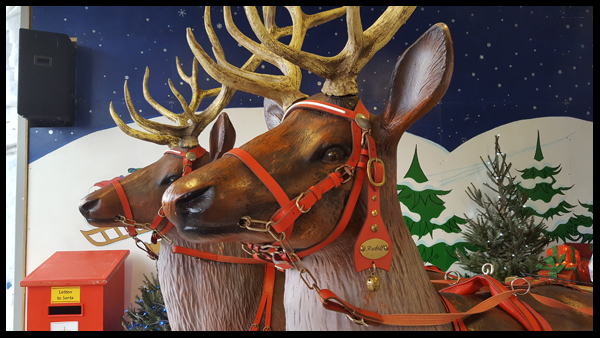 We walked around the other side of the illuminations scene to visit two of Rudolph's relatives Tinsel and Twinkle. 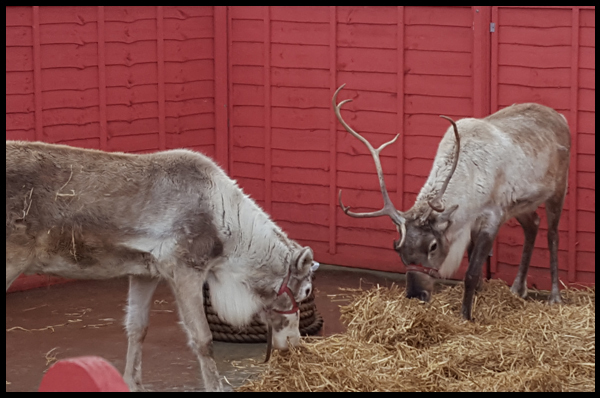 I'm not sure who is who but the very knowledgeable zookeeper told the boys various facts about Reindeer and that one had already shed his antlers for the year for them to grow back bigger and stronger next. These really are magnificent creatures and was a first for all 4 of us to see one up close. 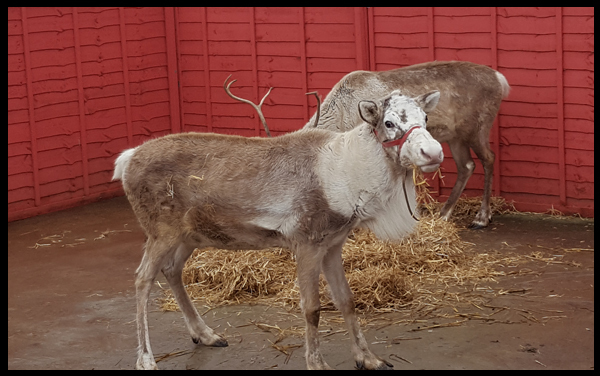 The boys were slightly star struck in the belief that Twinkle and Tinsel had brought Santa to Drusillas and actually knew Rudolph! That was a lot for the children to take in, and as it was lunchtime so we sat by the lights and had our packed lunch. The day was cold, but not bitter, the morning was misty which showed the lights off lovely and the boys were full of magic and excitement. 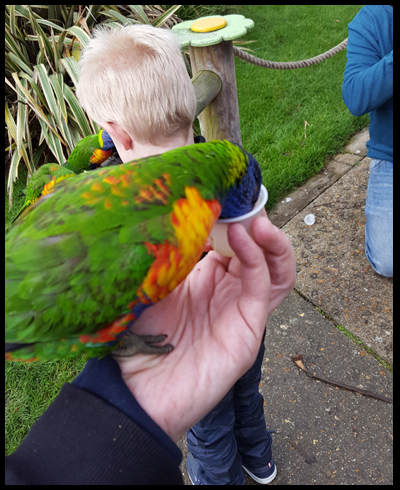 We went back around and looked at all the animals the zoo homes, and even got the opportunity to feed the birds, who are very cheeky I might add and sat on me before we'd even bought their food!! 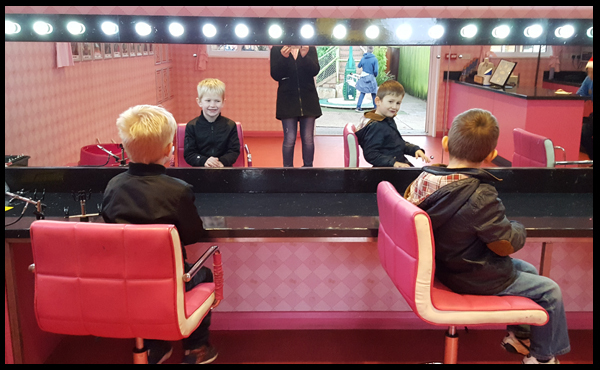 We finished off our day with a trip to Hello Kitty's Parlour and rides. 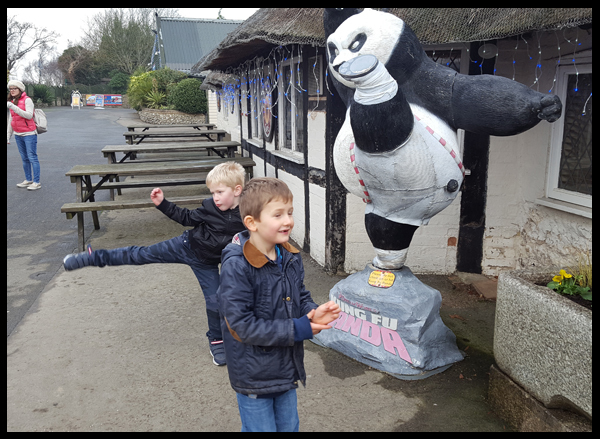 Four and half hours after our arrival, we finally posed with the Dragon Warrior Po and said farewell to the magical Winter Wonderland Experience at Drusillas. 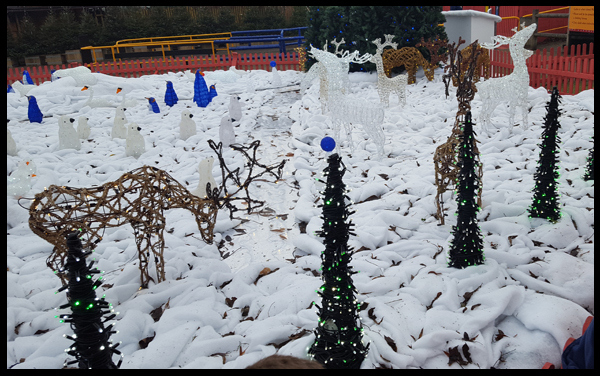 Drusillas is running their Winter Wonderland experience until 2nd January, and if you get the chance I'd highly recommend visiting. 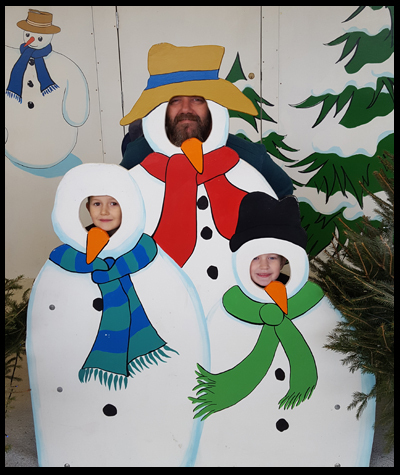 I'm sure the children with have a lovely time, as mine did and everyone gets caught up in the magic that is Christmas. 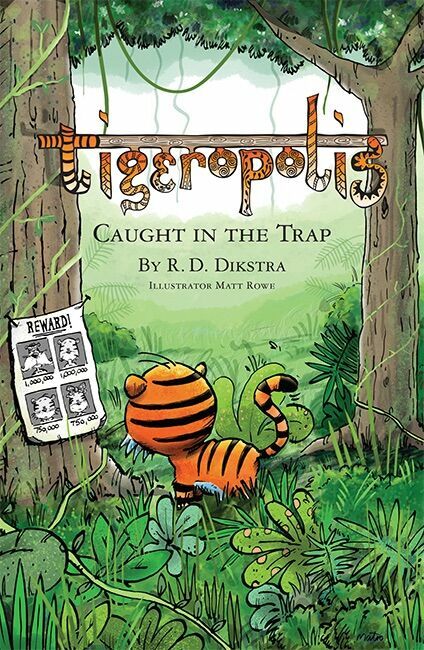 I received tickets from Drusillas in exchange for an honest review. The above wording is all my own and not influenced by tickets received.